NE Interior Plant Specialists designs, installs and maintains interior landscaping and exterior urban landscaping for any corporate or office environment. For 15 years we have served all New England with attractive live trees, flowering plants, decorative containers, artificial foliage and just about any other interior plantscaping feature. 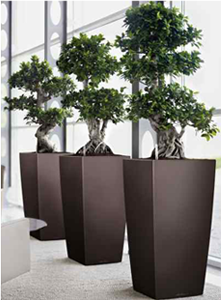 Our guaranteed services assure your plants stay healthy and attractive. We also offer custom-designed and unique plantings for private homes, corporate gardens, courtyards, roof decks and pools. Our service is professional and reliable and scheduling is available around the clock.